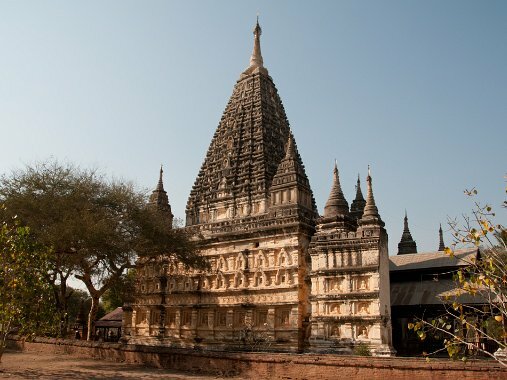 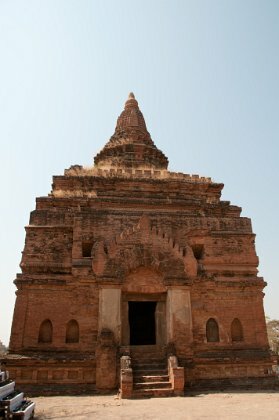 The Leimyethna temple, the "Temple of the Four Faces", is a beautiful example of a single-storeyed temple built in the Late Style. 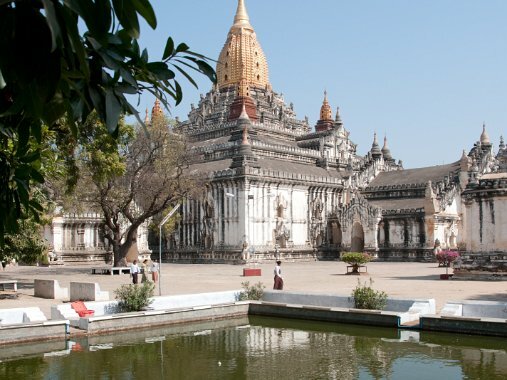 Maha Zedi Temple has a series of receding terraces, surmounted by a cylindrical or bell-shaped dome which continues into a finial of concentric rings. 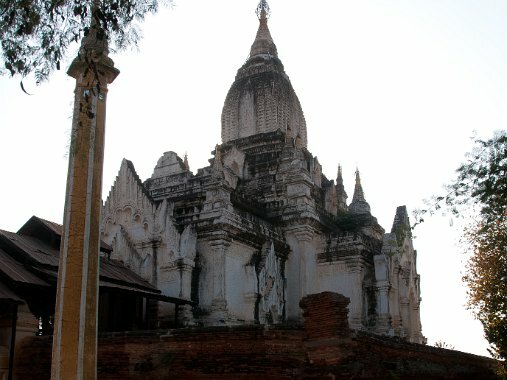 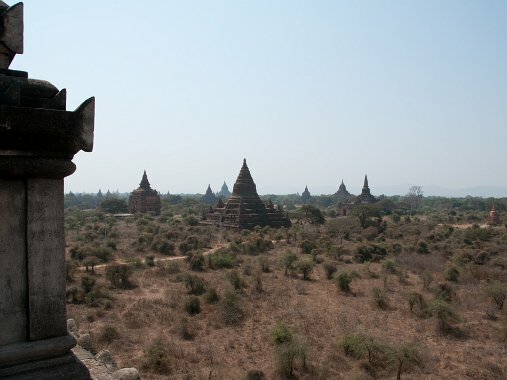 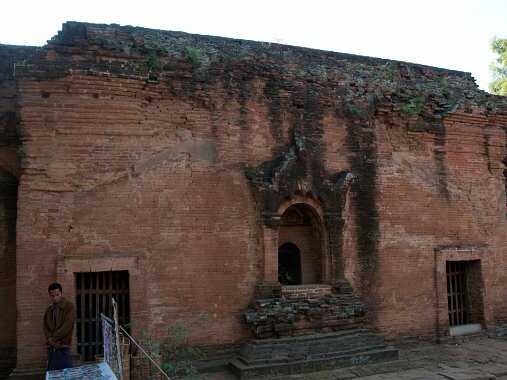 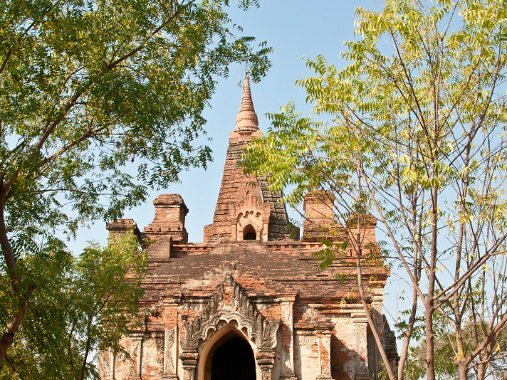 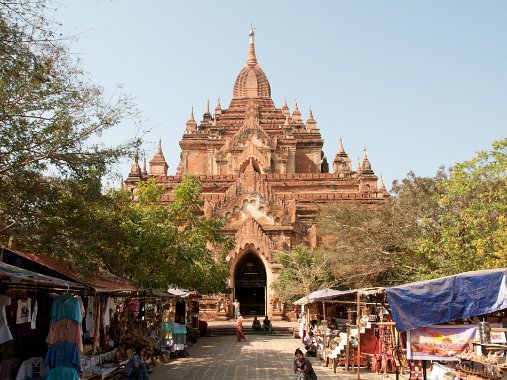 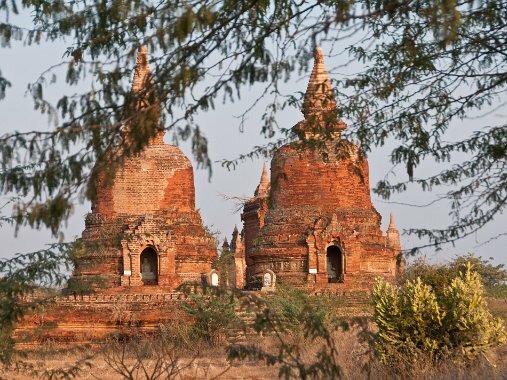 Said to have been built by Seinnyet Queen in the 11th century A.D. but the design appears to belong to the later Burmese style of 13th century.